”Hangiga (literally “a drawing created by woodblocks”) is the name I coined to refer to my woodblock prints.I would like to mention that the word really means something like “a drawing created by the carving and the grain texture of the woodblocks.” Basically, the method of handwork and the material I use are the same as those used for “Ukiyoe (Japanese traditional wood block prints),” but I do all the steps myself, from drawing a rough copy, carving the design on woodblocks and printing.The biggest difference is in its printing method, which is the most essential factor to create unique woodblock prints. The grain’s woody texture and translucent colors can only be created by the method I use with woodblocks, and not by traditional ways used to print woodblock prints or lithographs.Even with my method, woody textures diminish after printing about 30 prints per block, and I cannot create so many prints from one pair of woodblocks. Another frequently asked question is about the motifs and structural outlines of my prints. All of them are based on my memories of my life in Tokyo, Japan since my childhood. So, I used the title “Memories of Japan” for the book.I do not intend to create my works about nostalgic images. I have been using such motifs, because I believe the landscape and atmosphere I described in my works still remain in our daily lives, and they will also remain in the future. His family had been living in Asakusa, Tokyo for generations (such a person is referred to as "Edokko" in Japanese, which literally means "a person from Edo (the former name for Tokyo)"). His father was a Buddhist monk, and mother the daughter of a lacquerer. Graduated from Kitazono High School, a Tokyo metropolitan government-run high school, he completed the Art Program in the Literature Department of Waseda University. Nakajima started to create woodblock prints when he was 16 years old. After several jobs including one for a publishing company, he established a method to create his unique woodblock prints, which he calls “Hangiga,” with translucent colors and a wood grain texture. As a genius who opened a new way for creating woodblock prints beyond the traditional Ukiyoe, his works have drawn attention in various countries including England, the United States, France, Spain, Germany, Austria and Australia. ■April 2000 One-man exhibition at Sakura Festival in San Francisco. ■May 2001 Invited to "JAPAN 2001" in England, and held a one-man exhibition in London as an artist representing contemporary Japanese woodblock print artists. ■2002 Held a lecture at the Bureau of Engraving and Printing, Ministry of Finance. ■May 2005 A new collection of works "Nihon no Omokage - Iki (Memories of Japan - Japanese chic)" was published by Nichibou Publishing. ■July 2005 Held an exhibition at the Furusato Bijutsukan in Asahi Town, Toyama Prefecture. ■November 2005 Held a one-man exhibition at the Global Gallery in Sydney, Australia. ■2006 His works were used for the covers of the monthly magazine Voice published by PHP. ■ June 2008 One-man exhibition commemorating the 150th anniversary of diplomatic relations between Japan and France at the Centre Culturel Franco-Japonais in Paris. ■ September 2008 Organized a one-man exhibition as the first for a Japanese artist in the Chateâu des Bouillants organized by Dammarie-lès-lys, commemorating the 150th anniversary of diplomatic relations between Japan and France. ■ September 2010 One-man exhibition at Espace Japon organized by OVNI newspaper. ■October 2010 The second exhibition in the Château des Bouillants organized by Dammarie-lès-lys. ■November 2010 Participation in Laudun - Le Japon Maitre des Arts organized by Laudun as a guest artist. ■December 2011 Awarded Silver Prize at the Exhibition at Carrousel du Louvre by Société Nationale des Beaux Arts. Became a member of Société Nationale des Beaux Arts. Awarded the Mayor of Saint-Maur's award which is given to the most superb artist by Saint-Maur City, France. (Grez sur Loing is famous as a village of artists throughout the ages). 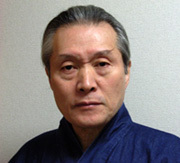 For the exhibition at the Carrousel du Louvre by the Société Nationale des Beaux Arts, Mr. Nakajima received the Eugène-Louis Boudin Award for two successive years. It was the first time for a woodblock print to win an award three times, which caused a turmoil in the art circles in France. Participated in the exhibition of "Kyo Yaki" ceramics and "Hangiga" woodblock prints co-organized by Marseille City and the Consulate General of Japan in Marseille titled "Japon, entre terre et ciel" with 30 "Hangiga" works which represent Japanese woodblock prints.